Let’s face it: shopping for mortgages can be a struggle. Checking interest rates, filling out loan applications, choosing a lender — all the choices and numbers can be overwhelming. But it’s worth the research and time. Comparing mortgage rates across lenders is one of the first steps in the home buying process. This allows you to budget by giving you an idea of what your monthly mortgage payments will total. Even minor differences in the interest rate on a six-figure loan will add up over the life of a 30-year mortgage and can have a huge impact on your overall financial goals. Years ago, it was more common to skip comparison shopping and go right to your primary bank as a mortgage lender. But now, your bank is just one of many lender options you have as a modern homebuyer. You can find reviews, ratings, customer experiences and all sorts of information right from the comfort of your home computer or smartphone. There are lenders who will tell you what rates you qualify for online within minutes and others that require you to speak to a mortgage broker. Whatever your preference, you have all sorts of resources available to you. As unpleasant as rate shopping may be, this is one instance where it’s wise to take your time. Mortgage lenders want your business and the first offer you see may not be the best offer you can get. It’s advisable to research at least a few lenders, compare mortgage rates and choose carefully. Our mortgage rate calculator can show you what you might qualify for with several different lenders, which can help you get started. 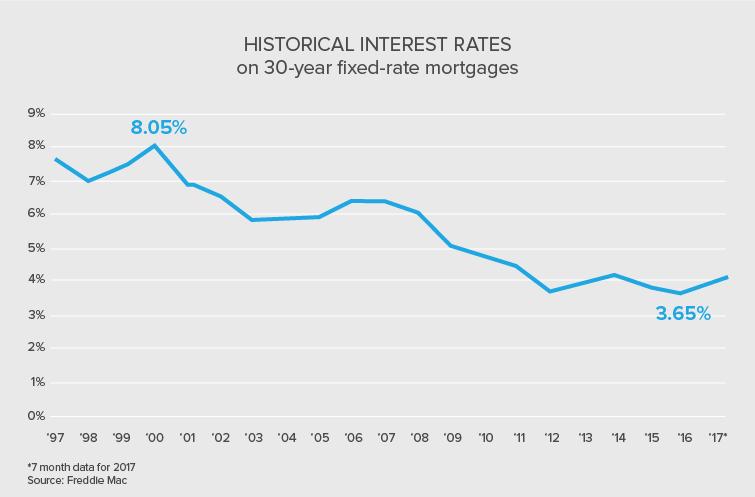 As you can see in the above graph, mortgage rates change year after year, so the factors impacting your potential mortgage rate aren’t entirely in your hands. Of course, controlling some factors that dictate your mortgage rate are totally in your power. Snagging a lower rate is all about making yourself appear a more trustworthy borrower. You see, lenders charge different borrowers different rates based on how likely each person is to stop making payments (to default, in other words). Since the lender is fronting the money, the lender decides how much risk it’s willing to take. One way for lenders to mitigate losses is with higher interest rates for riskier borrowers. Lenders have a number of ways to assess potential borrowers. As a general rule of thumb, lenders believe that someone with plenty of savings, steady income and a good or better score (which indicates a history of honoring financial obligations) is less likely to stop making payments. It would require a pretty drastic change in circumstances for this kind of homeowner to default. On the other hand, a potential borrower with a history of late or missed payments (a bad credit score, in other words) is considered a lot more likely to default. A high debt-to-income ratio is another red flag. This is when your income isn’t high enough to support your combined debt load, which can include student loans, car loans and credit card balances. Any of these factors can signal to a lender that you’re a higher risk for a mortgage. If you have bad credit, it may be worth waiting until you improve it to apply for a mortgage. Many lenders recommend waiting, as it’s the best way to get a low mortgage rate (that lasts the life of the loan for fixed-rate mortgages). It’s something to consider as a financial decision. So let’s say you have a very good to exceptional FICO credit score (between 750 and 850), savings and assets for the recommended 20% down payment and a net income that is more than three times your monthly payment. You’re looking good. Lenders would see you as a reliable borrower who is likely to make payments on time, so you would probably qualify for the lowest advertised mortgage rates. However, if your credit score isn’t high and you don’t have savings for a down payment, your lender may deny your mortgage application or point you in the direction of government-backed loans from the Department of Housing and Urban Development (HUD) or the Federal Housing Administration (FHA). Most federally sponsored programs allow lenders who have fair or good credit scores to qualify for home loans even if they don’t meet all traditional metrics. Such risk factors may include a higher debt-to-income ratio. These programs generally offer 30-year fixed rate loans and reduced down payments that homeowners can finance or pay with grants, if available. 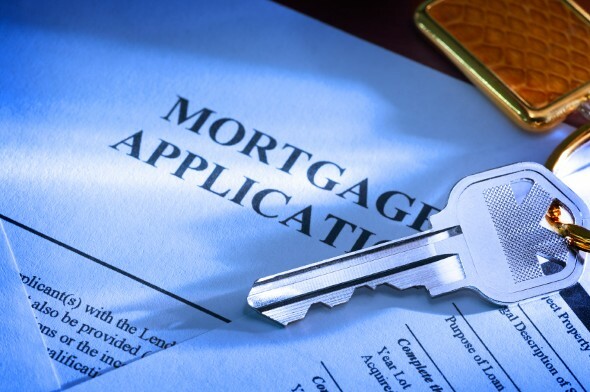 While these can be advantageous for borrowers who can’t qualify for a traditional home loan, they typically come with a type of mortgage insurance, which will add to the cost of your monthly housing payments. What Is the Difference Between the APR and the Interest Rate? The Annual Percentage Rate (APR) is the true cost of the mortgage. It takes into account all the fees and charges you pay when you receive the mortgage (such as closing costs) and spreads those out over the life of the loan so you can get an idea via an annualized rate of what you’re actually paying. By contrast, your stated interest rate is the number used to determine your monthly payment. It’s the percentage of the loan balance you pay in interest on an annual basis, no extra costs included. Of the two, the APR provides more of a big picture glance at what you’ll pay. The federal government requires banks to list the APR to preclude hidden or unexpected fees. Looking at the APR can be useful when comparing two different loans, especially when one has a relatively low interest rate and higher closing costs and the other has a higher interest rate but low closing costs. The mortgage with the lower APR might be the overall better deal. The APR is generally higher than the stated interest rate to take in account all the fees and costs. Usually it’s only a few fractions of a percent higher, though — you should give anything larger than that a hard second look. When you’re exploring 40-year mortgage rates and 30-year mortgage rates, those fees are spread out over a longer period of time. The APR probably won’t be much higher than the interest rate. But for 20-year mortgage rates, 15-year mortgage rates and 10-year mortgage rates, the difference between the APR and the interest rate will likely be greater. Should I Choose my Mortgage Based on the APR? The APR is a great tool for comparing two mortgages with different terms, but it's ultimately important to consider all aspects of your loan when making a decision. For example, if your savings account is well-stocked, you may be willing to pay some higher closing costs for a loan with a lower monthly payment that is more in line with your regular income. And there are other, non-financial factors as well. Every mortgage lender does business its own way. Some use a personal touch with each customer and others offer the most cutting-edge technology to make your borrowing experience easy. Do you prefer a small, local institution? An online lender? A national bank with a 100-year history and an established reputation? There’s no right answer to any of these questions, but they are important to think about nonetheless. You could be making payments on your mortgage for 30 years, so you should find a lender that suits your needs. 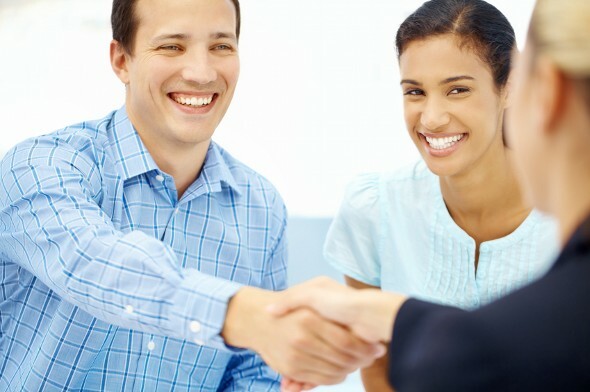 Before you sign your papers, it’s a good idea to research your lender. Read reviews, the company website and any homebuying material the lender publishes. It can help you get an idea of the company before you do business. The truth is no mortgage lender has a clear edge when it comes to mortgage rates. Each has its own specific methods for calculating which rates to charge which borrowers, so the lender with the best rate for one person might not have the best offer for another. It really depends on individual circumstances. This is why it’s so important to look into a variety of lenders and see what they can offer you. Using tools, such as our rate comparison tool, can help you compare mortgage rates for your specific situation and give you a good idea of what rates you may qualify for. You can also get ahead by checking your credit score before you apply for a mortgage, to better understand your financial standing.